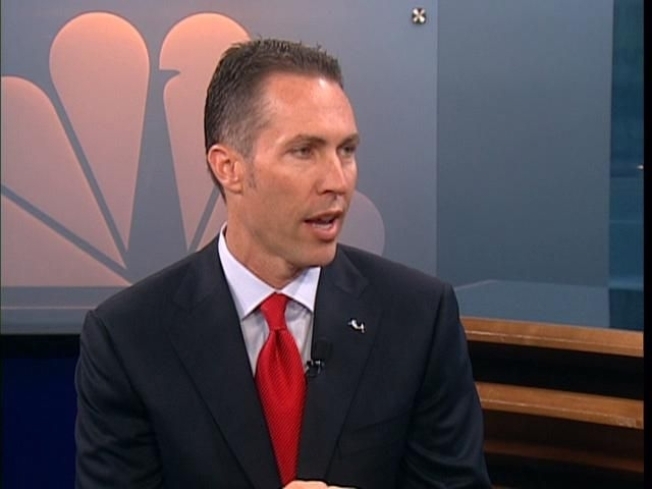 Bridgepoint Education CEO Andrew Clark during a visit to NBC 7 in 2010. Over 800 roles at Bridgepoint Education will be moved to Chandler, Arizona, in the next two years. The for-profit education firm, which also chose to rebrand under the name Zovio – from the Greek word ‘sophos’ – said it plans to continue operating in San Diego as it transfers 200 jobs to the greater Phoenix area this summer. Zovio was reported to have inked a lease for 130,000 square feet at Irgens’ Ascend at Chandler Airport Center project last August. Irgens said the for-profit education firm leased the space for 11.5 years and will take possession of it in mid-April 2019. Zovio’s listing in the New York Stock Exchange and Nasdaq will begin to trade under ‘ZVO’ on April 15, according to a news release from the company. The SDBJ previously covered the education company’s reported net income of $4.3 million on revenue of $114.9 million during Q3 2018. The company stated it closed 2018 with a Q4 revenue of $94.7 million. Zovio said its yearly revenue for 2018 reached $443.4 million while it registered net income of $4.6 million. The company absorbed University of the Rockies into its Ashford University auxiliary in November 2018. Zovio announced plans to relocate April 2.